More pistols 1911s this time. Thread: More pistols 1911s this time. Re: More pistols 1911s this time. plating, although not original, was done professionally, and the condition remarks put it around 60 to 65% condition. Thanks. I may try to post pics later. The nickel plating is going to hurt value some what. I would have it check over real good then is deemed safe I would shoot it and enjoy it. 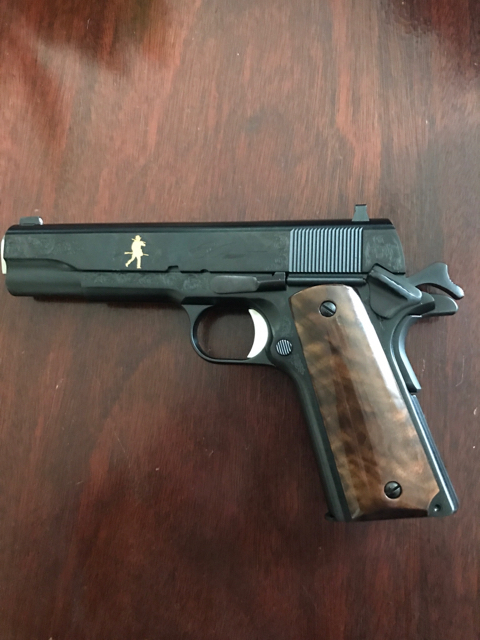 I only need 33 more 1911, to catch up with you. Nice! I have the Remington "GI" model in Commander size. It's been a good'n. « Any one have a PF-9 KelTec.